A news from Cherry Mobile Facebook fanpage that ther will release Cherry Mobile Superion TV 2.0 Tablet pretty soon. We manage to get a couple of information regarding this tablet, like specification and some features, just like the previously teased Cherry Mobile Fusion Wave. We are also excited to make a detailed information about Cherry Mobile Superion TV 2.0. A full pledge tablet with mobile and TV capabilities, as Cherry Mobile Superion TV 2.0 Tablet is fully featured with a SIM slot and analog TV tuner its an all in one package for entertainment, productivity, and communication. 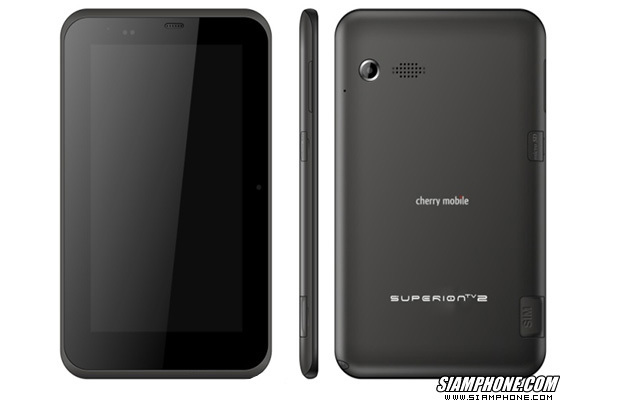 This post will be updated soon after the release, so what do you think about Cherry Mobile Superion TV 2.0 tablet? And what will be the price?